Magnacarta 2 is a very interesting and exciting game which sees players thrust into a fantasy world where they must join forces with the indigenous folk to defeat their enemies. The game has very good graphical content and a compelling story line and gave me hours of endless gaming fun from start to finish. great game all round. 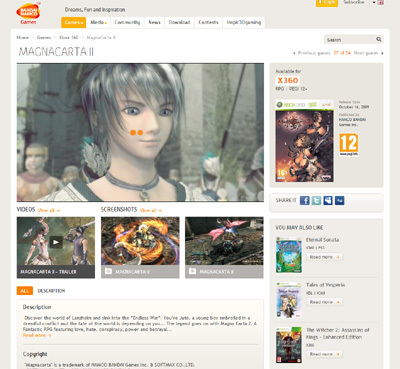 We have also compiled a Review System for this, of which Magnacarta 2 is Rated as Four Stars, the second highest possible score available from the Game Review Team.